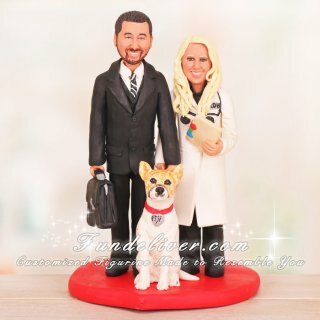 This is a completely customized attorney and dental hygienist wedding cake topper ordered by one of our customers. The groom is an attorney and the bride is a dental hygienist. 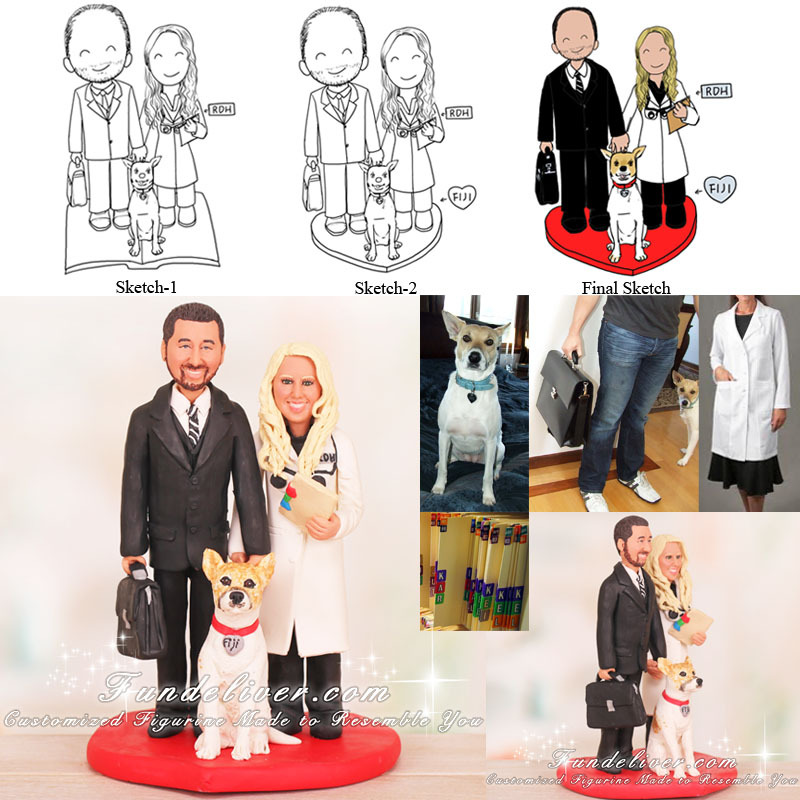 They would like the groom’s figurine to be in his suit and the bride’s figurine to be in her scrubs and lab coat. They also would like their adopted dog Fiji on the topper with them, sitting in between them. The groom is in his black suit carrying his Montblanc briefcase, the bride is in black scrubs, black nursing shoes and her white lab coat. She would also like to have her specialty orascoptic glasses around her neck and holding some patient charts to reflect her career better. Their dog Fiji is medium sized white with a few tan spots, they rescued her from the Fiji Islands and she means the world to them. They would just like her to be sitting in between them wearing her collar with a heart tag saying her name "Fiji".